Branched chain amino acids (BCAA) are essential amino acids that are often used by bodybuilders to decrease fatigue and increase alertness, as well as by liver patients under the direction of their physician. They are found in foods or supplements. Branched chain amino acids are so named because of their appearance. When drawn out in their chemical configuration, they look like a tree limb with numerous small branches coming off them. Scientists first identified these amino acids in the 1940's. Numerous experiments with rats and other animals demonstrated a noticeable improvement in muscle mass in mammals taking these amino acid supplements. According to Bodybuilding.com, during very strenuous exercise, such as weightlifting, body building and similar exercises, the body can enter what is called a catabolic state. This is especially true when combining strenuous exercise with a calorie-deficient diet for maximum leanness. A catabolic state means that not enough energy is available, so the body begins breaking down muscle tissue. Taking a branched chain amino acid supplement may prevent this and speed recovery time as well as muscle development. Researchers have identified three branched chain amino acids: leucine, isoleucine, and valine. Each performs different functions in the body. Leucine, the first of the three identified BCAAs, is thought to help metabolize muscle tissue says Aminoacidsstudies.org. It's considered an essential amino acid because it cannot be made in the human body. A 1999 study showed leucine supplementation improved muscle recovery in rats after exercise. According to the study's abstract, research data suggests "leucine stimulates muscle protein synthesis following exercise, independent of increased plasma insulin." The only way to get enough leucine for your needs is to eat foods containing leucine or take BCAA supplements. Food sources of leucine include meat, chicken, pork, fish, peanuts, almonds, soy, eggs, chickpeas, lentils and milk. Isoleucine, the second of the three BCAAs, also cannot be made by the human body. Isoleucine helps muscles recover quickly after a strenuous workout. Like its cousins leucine and valine, it also helps build and repair muscle tissue but it may also offer other significant health benefits. A study on rats suggests isoleucine may help regulate blood sugar. A separate Japanese study also performed on rats found isoleucine "prevents liver metastases in a mouse colon cancer metastatic model." You can find plenty of isoleucine in such foods as cottage cheese, fish, meat, poultry and peanuts. The last of the three amino acids found in a branched chain amino acid supplement is valine. Valine also helps build and repair muscle tissue, but it has the unique effect of balancing nitrogen levels in the body. Food sources of valine include beef, chicken, pork, grains, peanuts and mushrooms. A study published in Gastroenterology concluded that people with cirrhosis of the liver may live longer and have a better quality of life when they take BCAA supplements. The study of 174 adults with advanced cirrhosis showed that "the number of people with disease progression or who died was 57% lower in participants taking BCAAs..." People taking BCAAs were also admitted to the hospital less and enjoyed better nutrition and a higher quality of life. Consider the following guidelines before taking BCAA supplements. The estimated average requirement of branched-chain amino acids is 68 mg per day for adults, says WebMD on its website. However, some researchers feel this amount may be too low. Why you're taking the supplements affects dosage. As a result, it's important to discuss BCAA dosing with your physician before taking. WebMD indicates that BCAAs are likely safe for people when used for up to six months. However, they may cause fatigue or loss of coordination. 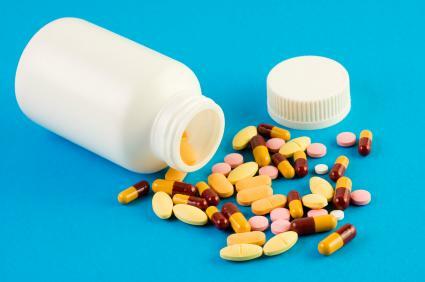 In addition, doctors caution patients with several medical conditions against taking these supplements. If you have any of the following health problems, talk to your doctor before taking branched chain amino acid supplements. Ketoaciduria, also known as "Maple Syrup Urine Disease", a condition in which the body can't metabolize leucine, isoleucine and valine. You should also exercise caution when taking BCAA supplements with prescription medications (such as Levodopa or diabetes medications) or having surgery. Many medications and supplements can cause negative reactions. If you opt to take BCAA supplements, be sure to purchase BCAAs from a reputable source. The FDA does not regulate supplements so they can vary in quality. Pure's BCAA supplements are made in a GMP certified organic facility and tested for purity. 120 tablets are $17.20 and shipping is free. GNC BCAA Complex: Offered as a tropical punch flavored chew, these supplements are easy to take. A bag of 60 chews costs $19.99 plus shipping. Optimum Nutrition offers 400 easy-to-swallow BCAA capsules for $26.66 plus shipping. They also offer BCAAs in powder form that can be mixed into protein shakes or smoothies. Although you can find BCAAs in many foods and supplements are easy to find, you should not use them without first consulting your doctor, especially to treat a specific illness. While studies on the three amino acids that make up BCAA supplements have shown exciting and promising results, most studies have been done on rats, not humans. In addition, the amount of each amino acid included in supplements may vary depending on the brand. Only your doctor can advise you on the proper amounts to take for your situation.